"The superb orchestral playing and Giancarlo Guerrero’s balance and care at the quieter moments are spotlighted in Naxos’s stunning sound." "... everyone is on top form. Guerrero galvanizes the orchestra to play with all the requisite style and brilliance and the music itself is both substantial and fun." "Recording of the Month ... the sound is crisp and beautifully-layered. If you’re wondering what’s new and thrilling in the symphonic tradition, this release is definitely one not to miss." 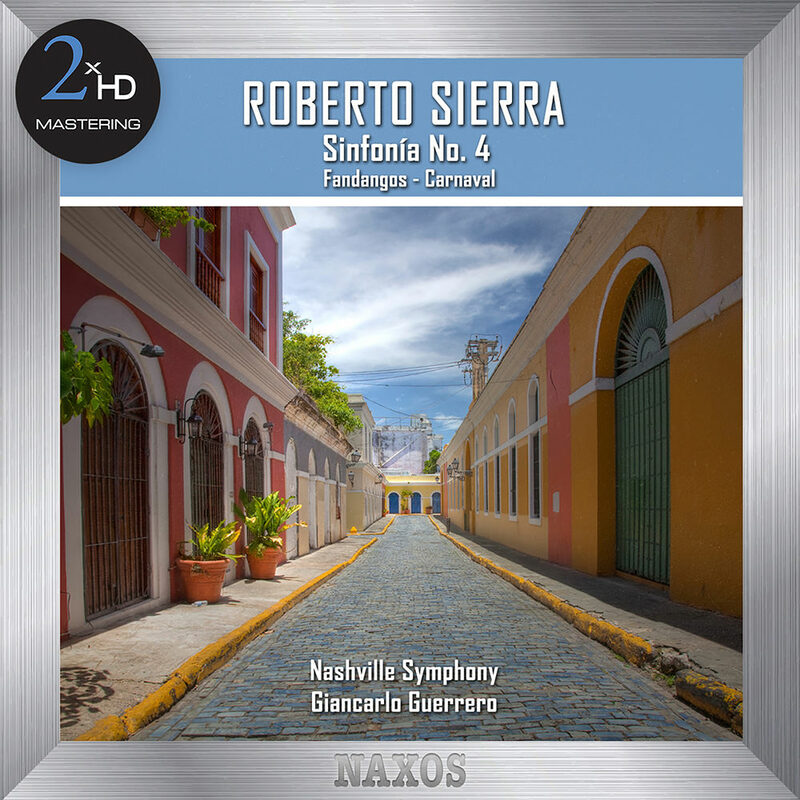 Recorded live in Nashville in April and September 2012, this Grammy-nominated album contains Fandangos by Puerto Rican composer Roberto Sierra along with world premieres of his dramatic Sinfonía No. 4 and Carnaval, which is subtly evocative of Schumann. Conductor Giancarlo Guerrero and the Nashville Symphony won two previous Grammies in 2011 and 2012 and have proven to be fervent advocates of contemporary music and composers like Sierra. This album was mastered using our 2xHD proprietary system. In order to achieve the most accurate reproduction of the original recording we tailor our process specifically for each project, using a selection from our pool of state-of-the-art audiophile components and connectors. The process begins with a transfer to analogue from the original 24-bit / 96 kHz resolution master, using cutting edge D/A converters. The analogue signal is then sent through a high end tube preamplifier before being recorded directly in DXD using the dCS905 A/D and the dCS Vivaldi Clock. All connections used in the process are made of OCC silver cable.